Enough steel for 20 Eiffel towers and enough concrete for a new 7-storey building a day. That's how the canal between two oceans was expanded, with the huge new locks to be inaugurated on Sunday. PANAMA CITY - It was 7 a.m., and a small army of construction workers was starting to drop into the excavation site. They were ready to keep working until the next day. They grabbed their tools and began to smooth out the concrete being poured. They could not afford to lose a single minute, especially with the aid of bright sunshine; the best time to work the mixture of cement, clay and basalt poured for the new locks of the Panama Canal. “We had to take maximum advantage of the sun, because we can't work when it rains. It was exhausting work, and several colleagues fainted,” construction worker Jose Herrera said as he used the point of a spear to knock off some of the concrete residue left on the structure, which will be inaugurated Sunday. Finishing the new locks was a race against the clock for the consortium in charge of the $5.25 billion project to expand one of the world's key commercial waterways. A bitter dispute over cost overrurns between the consortium, led by the Spanish company Sacyr, and the Panama government agency that operates the canal, delayed work on the third set of locks, a huge set of chambers that raise and lower the ships on their passage between the Atlantic and the Pacific. 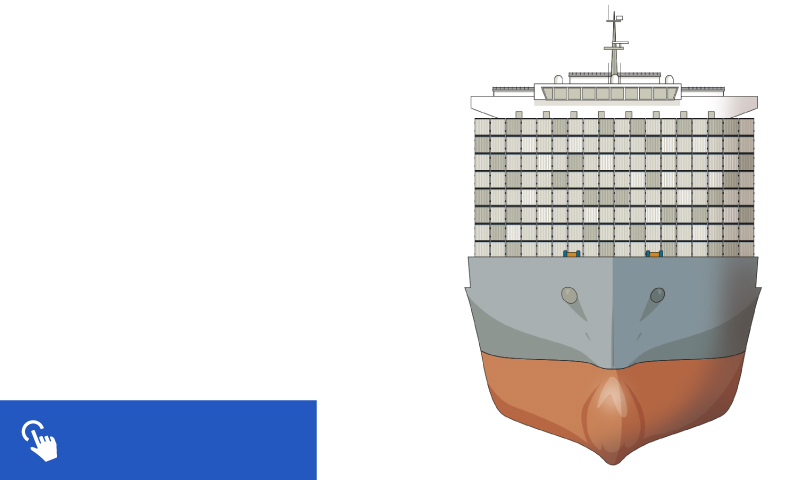 Discover in this infographic how the new locks can handle larger ships, up to 170,000 tons. The consortium even stopped all the work for several weeks, a period that Panama Canal Administrator Jorge Quijano described to Univision as the most difficult of the lengthy project. Panama urgently needed a new highway for the megaships known as "post-Panamax", which are too long, wide and heavy to fit through the old locks. The goal: to double the amount of cargo that passes through the waterway each year, to 600 million tons. Canal tolls already generate more than $1 billion a year for the Panama government, aiding the strong growth of one of the more dynamic economies in Latin America. 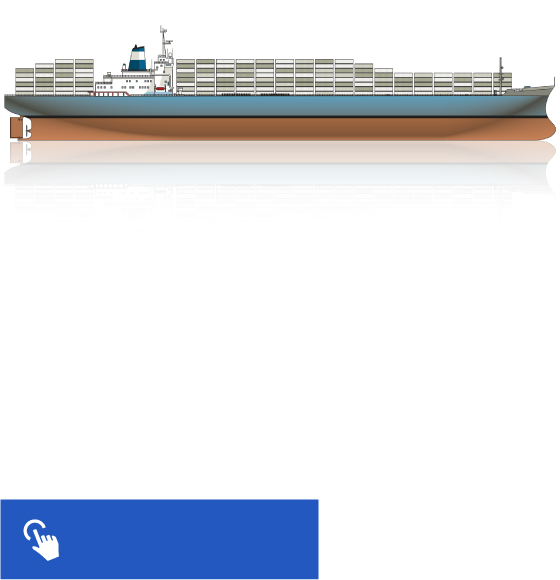 Those revenues will certainly rise, because post-Panamax freighters will pay as much as $800,000 for the 50-mile crossing which allows freighters to avoid having to sail all the way around the tip of South America. Amid all the problems, Panamanians like Herrera prayed for the project to continue moving ahead. The expansion of the canal represents an important source of jobs in a country that has the 5 th highest rate of inequality in the region. One quarter of its people live in poverty. “It will bring prosperity to the country. It will generate more jobs, because some of us working here now will be able to stay,” Herrera said. Even before it was first inaugurated by the United States in 1914, it was dubbed "The Big Ditch." But, ever since Panama took control of the canal at the end of 1999, Panama was aware that the waterway that carries 5 percent of the world's trade might become obsolete. But it took time to put together the massive investment and construction package for the canal expansion. Panama first held a referendum in which its citizens approved the ambitious plan. Then there was a contentious contract bidding process, won by the consortium with a bid that was substantially lower than others from its competitors, including U.S. giant Bechtel Group. The low bid raised doubts. But the Panama Canal Authority went ahead with construction in 2007. The work was almost a carbon copy of the original project. They took advantage of ditches less than two miles from the existing canal, excavated by the United States before World War II. They expanded Gatún Lake, which provides water for the locks, and removed entire hills without interrupting the operations of the existing waterway. They even relocated the course of a river. “We made a significant change in the geography of the area. The total we moved is about 100 million cubic meters. It's been the largest movement of earth this century,” said José Montenegro, an engineer who as a youth watched U.S. military personnel race through the muddy ditches. Production plants built on site churned out 4 million cubic meters of concrete, enough to build a seven-story building each day. The concrete went into the immense 18 meter-high (59 feet) walls of the locks, reinforced with enough steel to build 20 Eiffel towers. They poured the monoliths that hold up the walls and finally flooded the new locks on the Pacific side with 170 million gallons of water from Gatún Lake. A ship crossing from the Pacific is raised 27 meters (88.5 feet) as it passes through three locks and before it reaches Gatún Lake. Then it sails toward the Atlantic and drops through more locks back to sea level. Without Gatún Lake, there would be no canal and no drinking water for many Panamanians. “If we continue using the same amount of water, there will come a time when we will not have enough” to move the ships, Montenegro said. To avoid losing all of the lake water to the oceans, the new Canal has three water-reutilization basins that will save 7 percent of the liquid, said Luis Ferreira, another engineer who has worked on the waterway for nearly four decades. “If we haven't saved enough water in the lake, the depth of the canal starts to drop and we have a problem,” Ferreira said. “Sometimes we have to ask out clients to bring less cargo” to lighten the freighters. The canal this year reduced the allowed draft for ships by 30 centimeters (11.8 inches) because a shortage of rain brought about by El Niño dropped the lake to its lowest level in history. But restricting canal crossings will mean less revenue for Panama. The country is trying to avoid that, especially after ports all over the world, from Valparaíso in Chile to the East coast of the United States, are investing billions to meet post-Panamax standards. The project will be officially inaugurated Suday when the Chinese freighter Cosco sails through the new locks.